Robin and David collectively have 50 years of stonemasonry knowledge. Over the years they have designed and built many unique stone structures. We have been asked to assist SKIRT and council engineers on public assets and have developed a variety of stone fixings for a wide range of projects. Our ability to work along side architects and engineers has seen us gain a solid reputation around New Zealand. 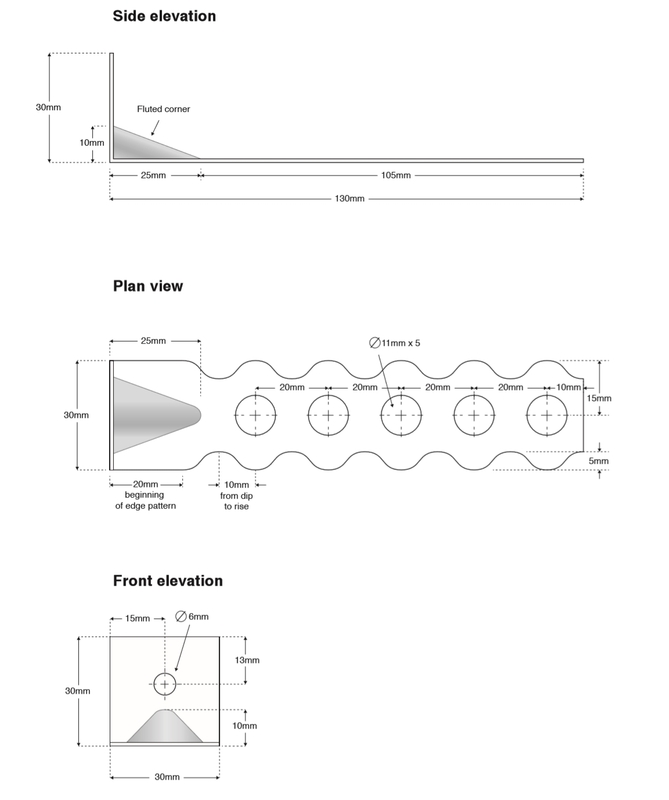 Mortar shall have a minimum compression strength of 12.5 mpa. Mortar shall be used within 1.5 hours of mixing. Mortar shall be wet enough that it stays in lumps when dropped from a trowel at a height of 1 meter. Mortar shall be dry enough that it stays in a heap on the trowel. Mortar joints shall be tooled when possible. Stone work should be protected from rain/irrigation for 24 hours after laying. When laying first course on set stonework, Make sure beds are damp and free of loose material. Sand shall be washed. Cement shall be lump free. Sand and cement shall be measured by a level bucket. Mortar shall have a plasticizer additive. Mortar shall be mixed for approximately six minutes. Mortar should be made in the following stages. 1 add most of the required water and all plasticizer for one mix. 2 add half sand. 3 add all cement. 4 add remaining sand and additional water if needed. As a rough guide a 4/1 ratio mix with be between 12.5 and 22 mpa depending on type of sand and moisture content of mortar. Stone ties should reach three quarters of the depth of a veneer. Stone ties should slope approximately five degrees down to the outer wall to encourage water movement away from the cavity. Stone ties must be set with mortar completely surrounding the tie Stone ties shall not be fixed directly on top of any work that has set or will set before the next course is laid. Stone ties shall be fixed so the fixing is stronger than the tie eg when fixing to block work the fixing must be rate stronger than the tie. Stone tie spacing’s should carefully follow the engineers specification as loading and anchors need to be distributed correctly to maintain the strength needed to withstand a sizable seismic event. Placement of stone ties. Stone ties should be fixed within 200mm of windows and doors. Stone ties should be fixed within 200mm of the top of the stone work Stone ties should be fixed within 200mm of footings and the bed of lintels. Stone ties should be fixed on edge between all stones on both self supporting arches and sprung lintels. all weep holes ideally should slope down away to the outside of the building to allow easy drainage and help prevent irrigation/rain entering the cavity. Stonework should be laid in a bonded pattern so that each course bonds over the vertical joints of the course bellow. Running joints should be avoided as they weaken the veneer. All corners (both internal and external) ideally should alternate in direction from the cornerstone directly below so they interlock. Stones should ideally have a flat foot depth of at least half of the stone height unless mechanically fixed or tied back into the mortar. A Stones face should be wider than the height unless it is mechanically fixed or tied back into the mortar. All stones should be free of any material that may inhibit bonding between the stone and mortar. 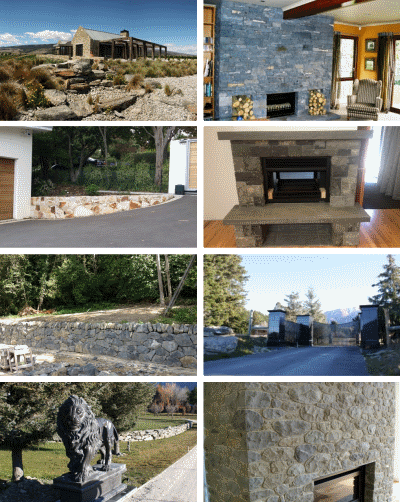 The Christchurch earthquake events only appeared to damaged stonework installed by unqualified stone masons. However while repairing some of their work we could see not only human error in installation of the commonly used brick tie but very bad corrosion on the galvanised tie being used. 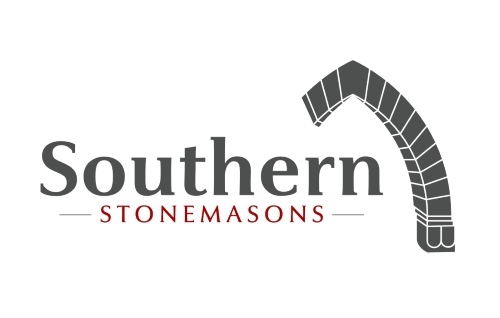 At this point Southern Stonemasons looked at depth into improving this system and resulted in the design of our stainless steel STONE TIE. THE STONE TIE gives superior bonding with the stone cladding, giving us a stone cladding strength unique to our company. Southern stonemasons have had their mortars tested to ensure their walls will stand the test of time. The same method was used for all four of the requested sands – turf, brick, plaster and a 50/50 brick sand/crusher dust mix. The volume of sand was roughly measured so as to fit in small mixer. A 4/1 sand-cement ratio was used to calculate the required volume of cement for each mix. The cement was then added to the mixer and the mixer was turned on. Water was added to the mix slowly from a 1L measuring jug so that when the desired consistency was reached, the exact volume of added water could be determined. 10mL of Sika BV50 plasticiser was also added to each mix. This was repeated for each sand type and three test cylinders were made from each mixture. This resulted in six different test specimens with slightly varied properties. The test cylinders were left to set overnight and the next day they were removed from their moulds and placed into a curing bath. The temperature of the bath was 21˚C ± 2˚C. After 28 days of curing the blocks were removed from the bath. The cross-sectional areas of the cylinders were measured and they were then subjected to compression testing to determine their strengths. The results of the compression testing are displayed in the table below. As is shown, the mortar that showed the highest strength was that made with a mixture of crusher dust and brick sand at a 50/50 ratio.